Looking for a piece of decor that speaks your soul out? The aesthetically delightful Orbit Lantern is precisely what would appease you the most. The Orbit Lantern is an astonishing blend of modern-day intricacies and old-school form that is ought to lure the eyes of the beholder. The soul striking shade of orange with detailed exterior makes the piece of art an appreciated one. It is sure to stand apart against your subtle painted walls and soft decor while also leaving behind a sense of ingenious royalty and maturity. 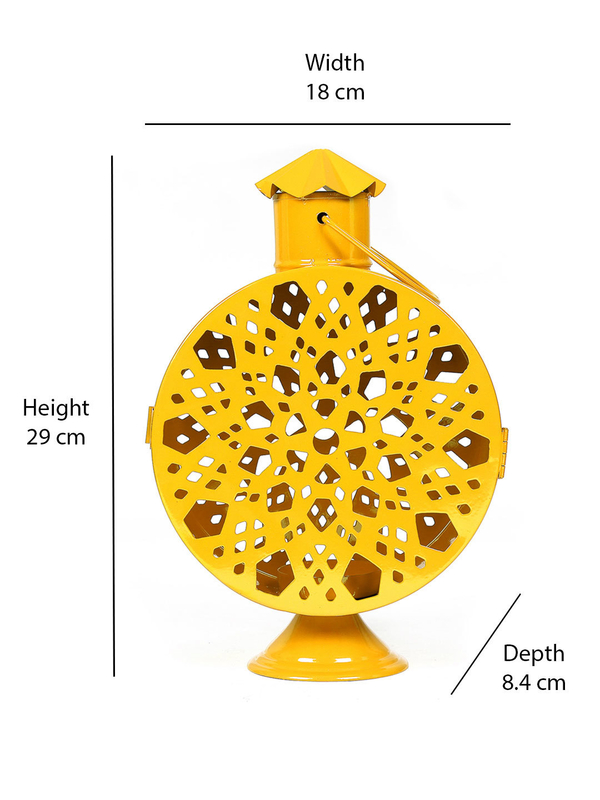 Light up your house & life with the spellbinding Orbit Lantern, that will sprinkle some glam in your gloomy room.